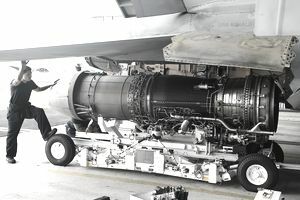 In the Navy, Gas Turbine Systems Mechanics (GSM) operate, repair and perform organizational and intermediate maintenance on mechanical components of gas turbine engines, main propulsion machinery including gears, shafts, and controllable pitch propellers; and assigned auxiliary equipment and propulsion control systems. In short, these sailors play a crucial role in keeping the Navy's ships and other motor vehicles running smoothly. In addition to maintaining and repairing gas turbine engines and auxiliary equipment, these sailors work with blueprints, schematics and charts, perform administrative procedures related to gas turbine propulsion system operation and maintenance, and conduct work area inspections. They also test lubricating oil and distillate fuels for contamination, neutralization, and precipitation, operate standard test equipment and stop engines to check for proper performance. They replace and adjust the operating tolerance of various equipment, such as contacts, microswitches, relay switches, pressure switches and temperature switches, and operate electric plant control and main propulsion equipment. Also on the list of equipment they repair and inspect are operating pumps, turning gear, air compressors, oil purification systems, low-pressure air dehydrators and engineering control systems. They perform preventive maintenance on ships' fuel and air systems, maintain sea water service systems, waste drain systems, oil purification systems and manually operated valves. These sailors also are tasked with using hoisting and lifting devices and maintaining special tools, maintaining and operating a ship's service gas turbine generators and support systems and maintaining a ship's controllable pitch propeller system. In order to qualify for this rating (what the Navy calls its jobs) you need a composite score of 195 on the verbal (VE), arithmetic (AR), mathematical knowledge (MK) and auto and shop (AS) segments of the Armed Services Vocational Aptitude Battery (ASVAB) tests. Alternately, you can qualify with a composite score of 200 on the VE, AR, MK and assembling objects (AO) segments of the ASVAB. These sailors spend eight weeks in basic training at the Navy Recruit Training Command in Great Lakes, Illinois. There's no Department of Defense security clearance required for this job, but normal color perception (no colorblindness) is required. This is a sea-intensive community. Manning conditions at sea may require the need to request sea tour extension or shore tour curtailments for sailors in this role.